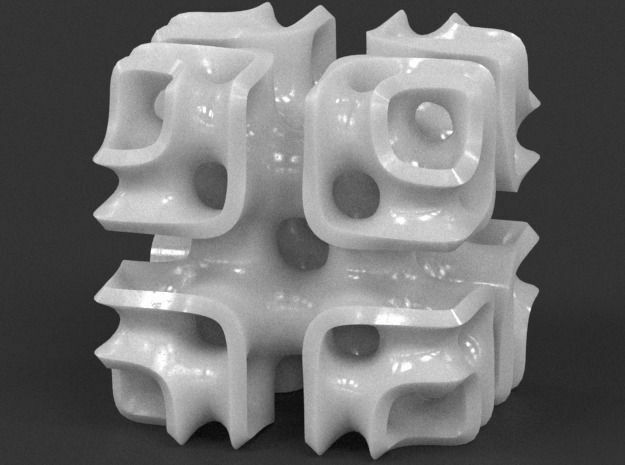 A cuboctahedron lattice abstract, based on the evolution of a Schwarz P and Lidinoid surfaces. This attractive, multi-symmetrical shape was created with standard polygonal modeling techniques in 3dsmax. Makes an interesting desktop showpiece, and an excellent addition to any Math Art or 3D print collection! *Maker tutorial for 3dsmax and Blender available for this model.